Create a variable in the layout file inside the <data/> which will handle the URL of the image. Set the variable on ImageView in the layout file. Let’s open Android Studio and create a new project. After project creation you have to open the app/build.gradle and enable data binding using the below lines of code. 3. Now prepare layout for presenting ImageView. At the time of projects creations. If you have selected Empty/Basic template then MainActivity.java and activity_main.xml file will automatically create. If not you have to create an Activity with layout file. Now open the layout file and add ImageView. Let’s add a few more components for better looks and feel. 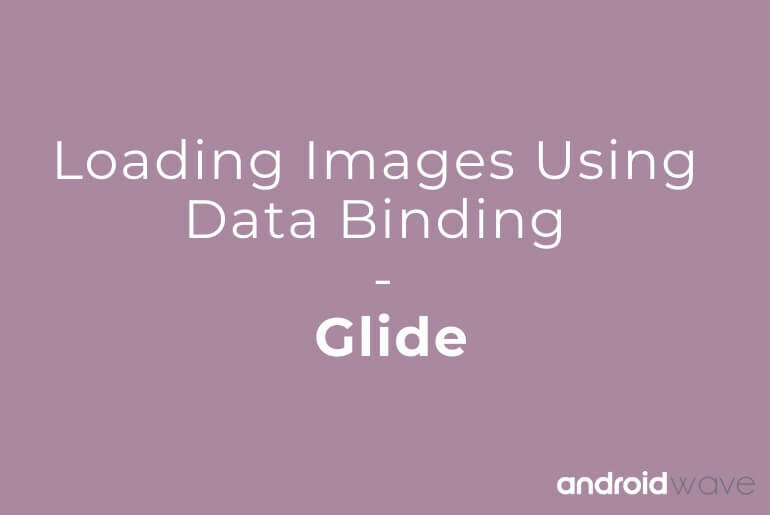 Here we are used @BindingAdapter annotation for Image URL using Glide. Let’s open MainActivity and replace setContentView to DataBindingSetContentView. Initialise use and profile image variables.